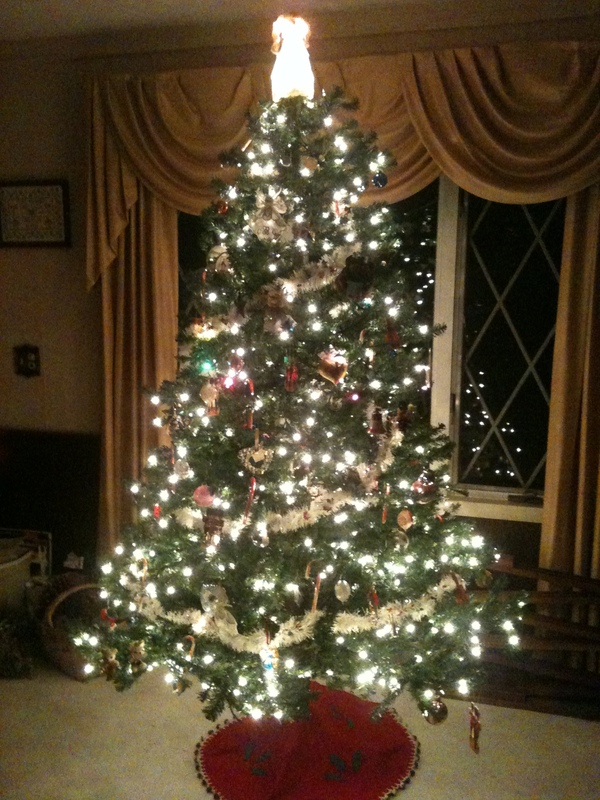 Last year’s Christmas tree! I spent many nights reading by the light of it. Okay, I’m just gonna come out and admit that I am an absolute nerd about the holidays. I LOVE THIS TIME OF YEAR! I have loved Christmas time since I was little. My family celebrates Christmas, and I love everything to do with it. Perhaps it’s the result of being a Christmas Eve baby. Or maybe it’s the holiday carols. Or maybe it’s the rituals and traditions my family observed, like going to the candlelight service or lighting the advent wreath. Whatever it was, Christmas always felt like a special time. As I’ve gotten older, Christmas holds a different type of wonder for me. Oh, I still like that it means I’m another year older. (I’m a weirdo who loves the fact that she’s an adult and getting older.) I still like that it means holiday concerts and singing Christmas carols. I still like the rituals and traditions. But now I look forward to other things. Like real egg-nog with booze. That’s definitely an awesome thing about being an adult. Or playing Christmas carols in my own car and singing at the top of my lungs. That’s pretty cool, too. And the Christmas stories! I like nothing better than sitting in front of the television watching cheesy Hallmark holiday movies as I wrap gifts or make Christmas lists. I love curling up on the couch, knowing I have no responsibilities for a few hours, and reading any of the number of Christmas books I have on my Kindle. There is something about the possibility and magic of the season that gives me deep shivers of joy in my heart. I love Christmas stories of all kinds. There’s Charles Dickens’ A Christmas Carol, of course. And the beloved “‘Twas the Night Before Christmas” poem. And I will eat up just about any Christmas-time romance novel you put in front of me. 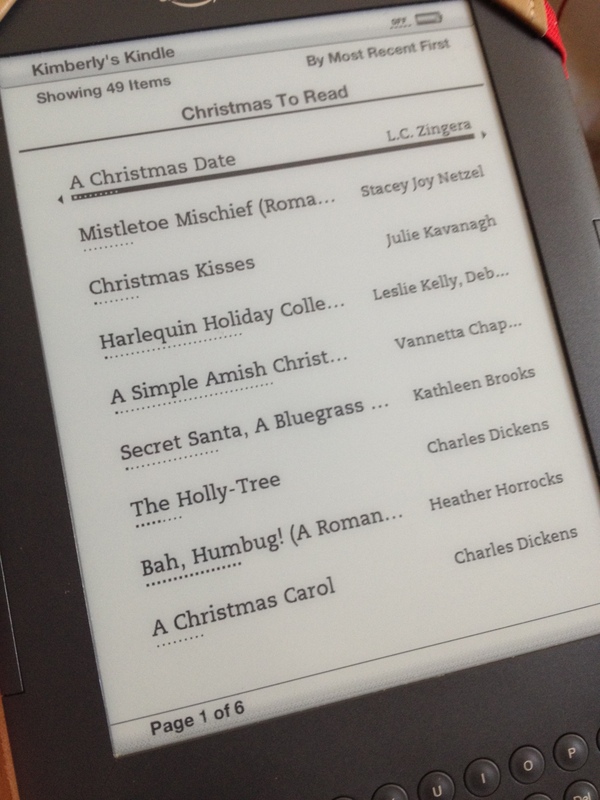 From last year’s list, I loved Lorraine Heath’s novella, Deck the Halls With Love, and the Jane Austen-themed Christmas With Miss Austen by Laura Briggs. And more recently I’ve read and loved Debbie Macomber’s contemporary Starry Night and Mary Balogh’s historical A Christmas Bride. Other people might complain about Christmas creeping up earlier and earlier into the year. And I get it. I do. It’s disconcerting to see Christmas stuff in the stores even before Halloween and it speaks to a voracious consumer culture that’s probably not doing humanity that much good. But I have to admit that that’s not what I see when I see Christmas stuff around me. I see the magic and joy and possibility that I’ve always loved about the season. It just seems ripe for some of life’s lovely romance! So, what about you? What Christmas-time books can you recommend? And what is your favorite part of the holiday season?